There’s no need to overspend for Christmas! In fact, you can probably cross quite a few people off your list if you take advantage of these FREE Christmas Gift Offers! Take all of those sample sized things that you got FREE over the course of the year and make a FREE travel basket! 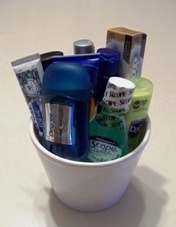 See if you have something around the house: an unused flower pot like I used above, a basket or a nice gift bag (reuse one, don’t buy a new one) and arrange all of the FREE toothpaste, FREE shampoo, FREE hotel soaps and lotions to make a nice presentation. Viola! A great gift! Use those FREE coupons Bath and Body Works (you know the ones I’m talking about) to get FREE travel sizes of their items to use too! Even throw in a FREE perfume sample or two that you can get FREE just for asking at you local department store cosmetics counter. 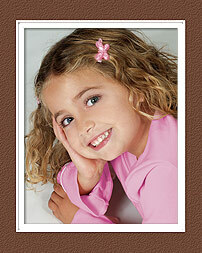 Sears Portrait Studios is offering a FREE 10×13 Collage or Composite Print with coupon. This is a value of up to $44.98! You could do one child, a group of children or the whole family! Choose from black & white, sepia, vignette, border or personalization. No purchase is necessary and there us no session fee. It’s completely FREE! The coupon is valid through 12/31/10. Read the details on the coupon or call 888-Portrait for more information. Everyone eats, right? So who doesn’t like FREE food? Restaurant.com has this great program called Feed It Forward. It allows you to give FREE $10 Restaurant.com Gift Certificates to your friends and family every day until the end of the year. 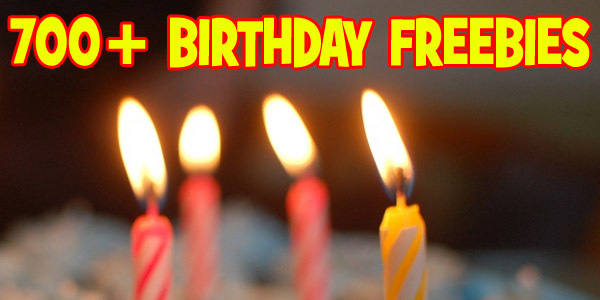 You can give up to 40 FREE $10 Restaurant.com Gift Certificates every day! Start Feeding It Forward Now! Ten FREE Holiday Products! FREE Products that are perfect for the holidays! Choose from FREE Mug, FREE Holiday Rubber Stamp, FREE Holiday Cards, FREE Calendars, FREE Photo Flipbooks, FREE Business Cards, FREE Return Address Labels and More! Ships in as few as 3 days! Got a Phenomenal Photo? Turn it into art on a canvas! FREE personalized artwork is a FANTASTIC Christmas gift! A photo of a pet or a loved one turned into a piece of FREE art that will last for years to come is PERFECT! I made one of my favorite vacation to Hawaii (sunset and palm trees), I look at it and I wish I was there! WOW! I love it! Of course you can do the standard old business cards for dad’s business or you can make networking cards. But, I challenge you to think outside the box! What else can you put on FREE business cards – FREE birth announcements, FREE party invitations, FREE save the date cards or FREE favorite quote cards. What about your kid’s accomplishments – a picture of your son in his baseball uniform after he won MVP with his name and the title and date of the award? I’m getting FREE mini recipe cards made for my mom with her favorite cookie recipe on it! Now when she makes cookies for a gathering she’ll be able to pass them out on a cute little card! Everyone will be so impressed! This one will take you some time. Create a FREE custom memory book! Collect photos, theater tickets, letters, cards, etc. scan them and create a professionally printed and bound book. This is something that will be cherished forever! On the last page you could put something like “With Love from Mary – Christmas 2010.” I did one of past vacations and titled it “The Places We’ve Been” It was a HUGE hit! And it was FREE to boot! Hotprints.com offers you 4 FREE photo books every month! They call them HotBooks. 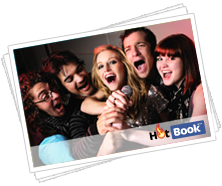 A HotBook is a 16-page photo book (including the covers) that you can design and create yourself online, using your own photos. It can be customized and personalized as per your creativity. It measures 8″ wide by 10″ high. Plus they are FREE! 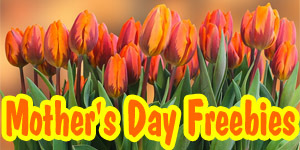 Menards has tons of FREE After Rebate offers every week. Start buying them now and put them all in a bucket. Once the bucket is full put it in a garbage bag and tie it with a red ribbon! Voila! Instant FREE Christmas gift for dad or any tool fanatic! Don’t worry about whether or not they will use the items – they WILL find a way to use it all! Although I don’t have a bucket yet (I have to go to the dollar store to buy one) I have quite a few items to put in it when I do including a Tape Measure, a Clamp, a Screwdriver, an Eyewear Clean & Repair Kit, a Tarp, a Caulk Tool, Gloves, a Lint Roller, a Pencil, Flashlight and Paint Brushes among other things! 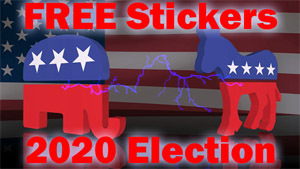 All for FREE! Check the current Menards flyer to see what they currently have FREE After Rebate. What woman wouldn’t love a piece of jewelry for Christmas? Get exquisite silver jewelry for FREE! You don’t have to tell her it was FREE!!! Also a great FREE gift for teachers or babysitters! 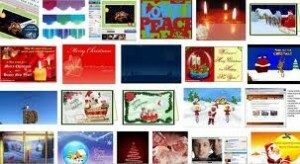 Send everyone that you know a FREE Christmas eCard! Remember, it’s the thought that counts. Everyone loves to get nice sentimental cards, plus you don’t have to spend a penny on a stamp. Send FREE Christmas Cards!